The Donna button in Microsoft Word is greyed out and you are unable to click it. If your Donna button looks grey and you are unable to click it most likely this document is of an old File Type. Microsoft Word transitioned from the Doc file format to the Docx file format a few years ago. 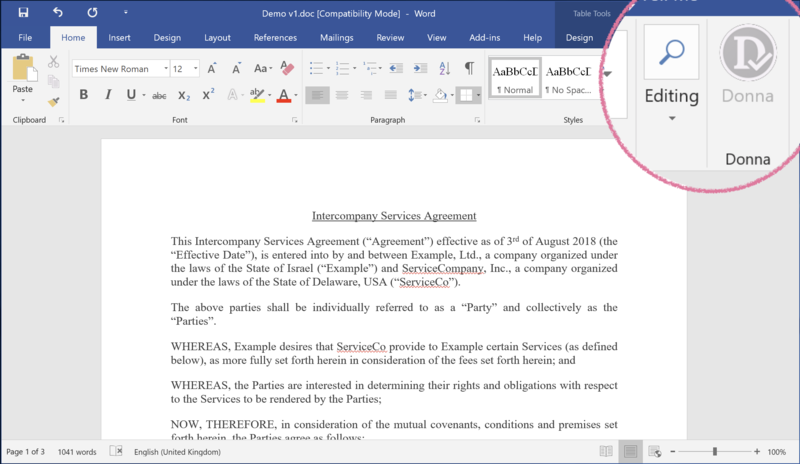 The new format enabled Microsoft to make Word work across platforms in a more uniform way. This includes Microsoft's support for Add-ins. However there are still a lot of older documents out there and these do not work with Add-ins at all. Although Word does not clearly indicate that this is why the button is grey, you can instead look for the text [Compatibility Mode] on the top bar. This indicates that this is a Doc file. This will save a new version of the document in Docx format and now Add-in support will be enabled.